Although today started off rainy, it was instantly made better when the Orioles surprised us all with Breakfast in Bed, where campers enjoyed bagels and yogurt parfaits in the coziness of their beds. After the clouds parted, campers participated in tournaments for Les/Jolis points in almost all the camp activities including archery, rilery, BB’s, tennis and tether ball. In the afternoon, campers got to enjoy a Hydration Nation themed Super Saturday where, Ship-to-Shore (a camp favorite game) was played along with the giant water slide! 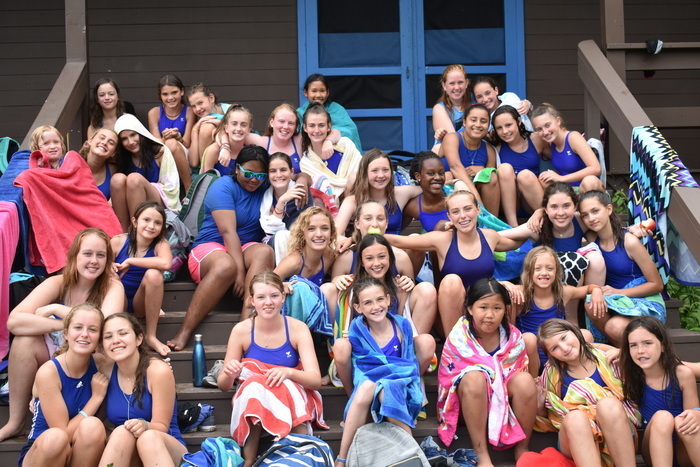 In the evening, campers took part in a very special and important longstanding tradition at camp, camp Spirit Voting, where we recognize girls who have not only done well in their activities but have shown excellent camp spirit meaning kindness, enthusiasms, and generosity. Overall, it was a very fun filled day at camp! A perfect way to go into the beginning of the last week.